The hallmark of my interior design philosophy hinges upon the idea that spaces for children need not look so disjointed from the rest of the home. So many nurseries and tot spaces are eyesores. Much of this, I believe, is because parents simply don't realize they have options. The truth is this: the world is your oyster when it comes to styling up a family friendly environment that is as good looking as it is durable. How? By choosing from today's technologically advanced fabrics and being clever about how you incorporate your glamorous (read: fragile) elements. You can read my nursery design tips here. Today's chat will focus specifically on fabrics. 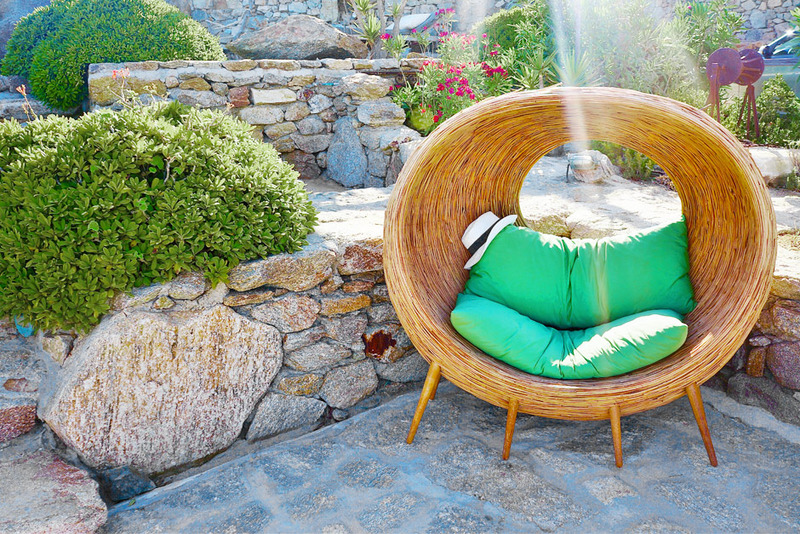 Consider, if you will, the idea of indoor outdoor fabrics inside the home. Forget what you think about textiles of the past. Today you can choose from supple velvets, incredible linens and stunning brocades that can take a beating and keep looking brand new. Crypton reached out to us a few weeks ago to ask if we would be willing to put a few of their amazing pillows to the test. I'm happy to say these glam black damask pillows exceeded our expectations. 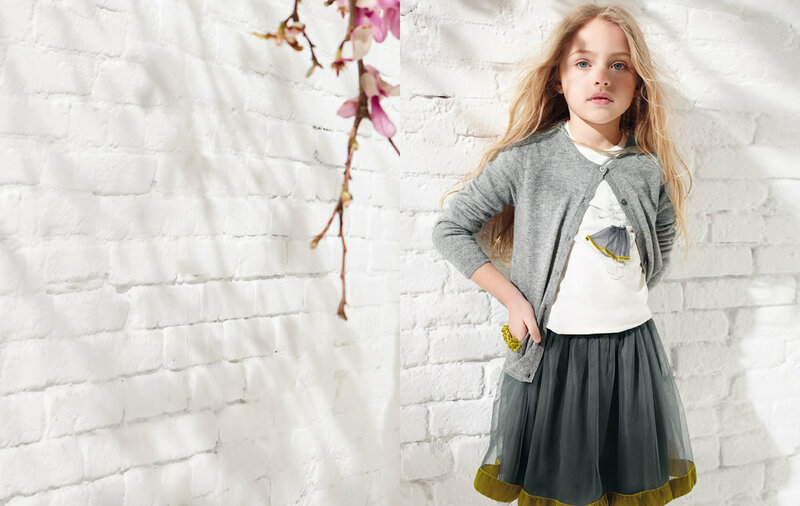 They are pet-friendly, kid-tough and pass this sophisticated girl's style sensibilities. We took them out for a lazy afternoon at the park where we flew kites, studied the clouds and otherwise enjoyed ourselves. Mr. Wonderful, our resident tabby, decided one of them made a good backrest during one of is afternoon naps. Afterwards, they were in absolutely perfect shape and ready to go back into my daughter's bedroom reading chair. To say we loved these is an understatement. Crypton fabrics are the bomb, baby! Like me, you might have encountered the fabric line before but had no idea they had consumer products. As it turns out, the company has generated a large collection of furniture, pet products and a wide range of family-friendly home & personal accessories. Aprons, dog beds, travel pouches, chairs... you name it, they've created it using their revolutionary fabric. And trust me when I tell you they are gorgeous as well as functional and durable. Pop into their online shop to see these chic pillows as well as hundreds of other items perfect for a busy house bustling with life. Your children and your pets (and who am I kidding... your husband!) will thank you. We recently discovered the newest collection of home goods by Bob & Cortney Novogratz. Known for their transformative renovations and artsy vintage-modern interiors, this talented couple already has established lines at Macy's and CB2. 9 by Novogratz is the dynamic duo's latest foray into the product design market, this time available exclusively through Wal-Mart. This collection is so visually exuberant that it easily translates to teens, tweens and young adults - but we could see daring "kids at heart" of all ages loving many of these pieces. Bold colors, artistic flair and graphic appeal make the entire collection a home run for anyone looking to outfit their digs in style at attainable price points. What I have always admired about Bob & Cortney is their family-friendly aesthetic and integrated lifestyle. From the very first episode of 9 by Design (how I miss that show!) it was clear that there were no clear lines of demarkation between work life and home life. This beautifully blended approach to life is expressed in everything they create, and this line of bed and bath goods celebrates the "embrace life" youthfulness they radiate. While we opted to style this through very young pink-loving eyes, 9 by Novogratz strikes us as the perfect blend of cool for expressive teens and college aged young adults. Sofa sleepers and arm chairs offer plenty of laid back styling options for beyond the bedroom. The kaleidoscope of colors makes it a great fit for those of who crave bold color & strong geometry. On a personal note, I'll be interviewing Bob & Cortney for an upcoming post. I cannot wait to dig in and ask about their work-life balance (is there any such thing?) and learn more about the world through their brightly shining eyes. This is just one of many interviews you can expect to see here on the new blog. Enjoy! Paris Fashion Week isn't biased when it comes to age (as Nori has established). Your own little miss can rock her French girl chic, too. Try this adorable illustrated sweatshirt & ruffled skirt for instant street style cred. I definitely harbor a not so secret love of all things preppy. Il Gufo's fall collection is so prep school cool it almost hurts. Think: J. Crew's more sophisticated cousin visiting from Europe. Wool sweaters and corduroy trousers for boys. Tulle skirts and lace peplum tops for girls. Ahhh.... to be 6 years old! In case you missed it, my girls modeled some of their dresses this summer. We shall perhaps do the same with some of these yummy fall pieces. For now, just enjoy all of these gorgeously dressed fresh faced children in the prettiest (and preppiest) clothes you've ever wished you could wear. One day she's playing in the sand, the next she's wowing you with her knowledge of ball gowns and all things royal. My oldest (at the ripe young age of 6, mind you) is well on her way to becoming a bona fide glamour girl. Cream and gold reign supreme as her favorite colors, but let's not forget pink for all its incredible beauty. A soft, upholstered headboard with brass nails, ample pillows for added cushioning and a flat out fabulous dresser are great for now and great for later. I'm not a fan of "kid" furniture and these choices will solidly confirm that preference. As in the rest of the home, invest in quality pieces that will stand the test of time and (hopefully) be to her liking as she grows. If not? They are lovely enough to make any guest bedroom a chic retreat for out of town visitors. Travel with children is an entirely new experience. With one I felt limited. With two I feel determined. Nothing is going to stop my insatiable need to roam the earth. I will concede that it's far easier to convince the Mr. to hope on a flight to a domestic location. Even better if said location is a high end rental property where we can truly unwind and settle into a vacation frame of mind. Enter: Kid and Coe, family vacation rentals with you and your brood in mind. Homes and locations are vetted for their tot-friendly nature and proximity to things you (and your mini-you's) will love doing. Fear not... you won't find yourself in a home across town. These are incredible properties all over the globe. Think: Vienna, Laguna Beach (my personal favorite on the domestic front), the Greek Islands and beyond. This is VRBO and Airbnb for those of us with little ones in tow. Do you know what this means? No. More. Excuses. What's not to love about a children's boutique that focuses on handmade goods and artisan products. Smitten was launched by a mom of two looking for quality products not likely to be found at those mega baby emporiums that dot the city landscape. You'll find no plastic noisemakers here. These are open-ended play toys that spark fire in a child's imagination and strive to bring back the magic of those special younger years. Children (of all ages) will love these handcrafted toys that invite creativity back into the home. We're big fans of playtime. Setting free your imagination is an important aspect of guiding young minds. Girl being girls, princess dress-up in a near daily occurrence in our home. No detail is let out. We bring out the tea set, the pretty dishes and don our tulle and jeweled finery. It's all in good fun, and these girls really, truly enjoy it. 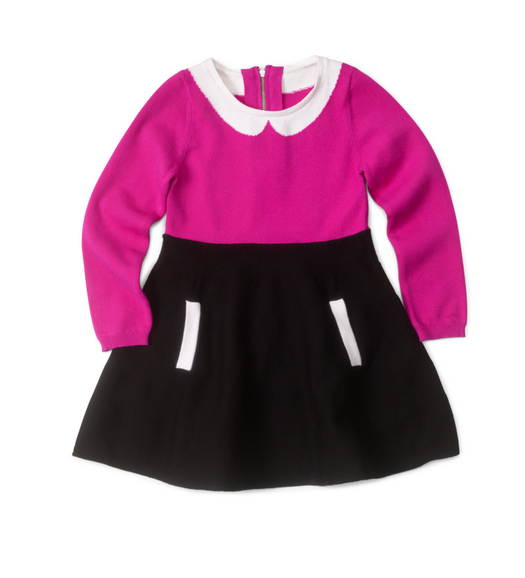 DOLLY by Le Petit Tom is a brand we discovered last year. It features beautifully made dresses that will stand the test of time. No itchy, mass produced dresses here. They are wonderfully designed and made from amazingly stretchy fabrics that feel baby soft to the touch. My minis feel like Marie Antoinette in her height of popularity when they wear these lovely dresses. Royalty. Find this and other beautiful pieces at Le Petit Tom. Between Ladies of London and birthday updates on the adorable Prince George, I'm somewhat smitten with British style. Their impeccable manners and adherence to time honored cultural rules have me loving all things English. I simply love the proper ways of our brothers and sisters across the pond. When it comes to your little man, dressing him like the heir to the throne is quite simple. Think: navy blazers, classic oxfords and classic apparel with prep school appeal. These pieces from AlexandAlexa will have him worthy of sipping tea with the Queen in no time. Summer has everyone outdoors partaking in some style of sport. Tennis, swimming, bocce, croquet, volleyball... get togethers call for outdoor fun. We are certainly an all of the above style posse. Regardless of the season, we are continuously busy and enjoy seeking out new engaging recreational activities. Recently we were introduced toRollors, an outdoor game perhaps best described as a mix of bocce, bowling and horseshoes. It's playfully competitive, and certainly very family friendly. This fun backyard game will keeps participants moving and engaged without great athletic ability required. The rules were very straightforward and luck as well as skill were necessary. It's easy to see how you can develop into a better plater over time by working n your accuracy. This was definitely terrific activity for my energetic six year old. Even the one that was too small to fully participate loved it. For me, the smartly designed zippered carrying case was the thoughtful aspect. It's convenience and orderly nature guarantee it will be added to the trunk for park outings and outdoor casual gatherings. Thumbs up across the board from our little crew! Of special note is the story behind the game. Inventor Matt Butler first visualized the concept during his downtime between deployments overseas in Iraq and Afghanistan supporting combat operations. When he returned home he developed a prototype that proved successful with friends and family. Eventually he saw an opportunity to employ out of work veterans by having them produce the simple wooden components that comprise the game pieces. Mark now leverages the worldwide success of his game as a platform to continue giving veterans assistance. He consults them on inventions, career advice, patenting, distribution and more. You are likely to find yourself playing this game for fun at your next beach party. It's nice knowing that the man behind the invention has a huge heart and is using his success to build others up. Aren't entrepreneurs amazing? Visit Rollors to learn more. There's no doubt that classical music played to the womb elicits a response from a growing baby. Likewise, children at any age are fascinated by art. Show any baby a colorful painting and you'll see their visceral response to the creation. So for me, adding art and creative pieces to a nursery or child's room is a necessary luxury. Today on Framed & Matted they are showcasing LA artist Marisa Anne Cummins. Her quirky framed prints are signed and matted and definitely would add a playful element to a young child's room. Personally, the lion is my favorite! He's a cutie. When it comes to children's clothing I feel I've seen it all. With two little girls and dozens of stylish mommy girlfriends, the world of children's apparel is no mystery to me. Or so I thought. A few weeks back I was introduced to Il Gufo and my eyes were opened to the delightful possibilities for dressing my budding beauties. Founded by Giovanna Miletti, an Italian mother of three with a passion for dressing her little ones in style, the luxury apparel line was born. I can tell you with great authority that these are by far the most well constructed pieces of children's fashion I've ever come across. These beautiful dresses shown above on my daughters are impeccably sewn, fully lined and feature dressmaker details typically reserved for luxury adult apparel. But don't let the finely sewn seems fool you, their tagline says it all. Children dressed as children. These are age appropriate styles that parents will appreciate and kids will enjoy. An additional bonus that I enjoyed is the ability to order the items in sizes to suit my girls of different ages. At age 2 and 6 they are very keen on dressing the same. This is a sweet spot in their life when being sisters is one of their greatest joys. Il Gufo's range of sizes allows siblings to coordinate in perfectly scaled individual pieces. My girls could not possibly have been happier with the dresses. I could tell they felt like princesses each time they wore the gowns. Clothes do indeed make a difference in our outlook on life. My oldest told me she could not wait to wear hers in Rome on our next trip. I love that! Made from cotton & Elastan, these A-line taffeta gowns exude a fabulously elegant look perfect for summer weddings, photo sessions and Sunday church. Here in Dallas there are opportunities aplenty for dressing up. We'll be using these throughout the season for events and photo opps. I cannot express enough how impressed I am with not just the quality of the pieces, but the thoughtful design details and customer service. Each dress arrived on the hanger, carefully protected and ready to be worn. No pressing necessary. If you're familiar with shopping online for children's apparel you will no doubt agree that this is a rarity. Lest you think they only cater to those seeking picture-perfect dresses (which they excel at), Il Gufo offers everyday apparel for both boys and girls from ages 0 through 14. From polos and plaid shorts to beachwear, this is a small yet varied line that offers an outfit for every occasion. This is an amazing brand that has enlightened my viewpoint on the potential for dressing my girls. I look forward to sharing more of their incredible pieces with you dear readers. Take a look at their site and explore for yourself. All items can be ordered online and shipped right to your door... no trip to Italy necessary. They even have a boutique in New York for those of you on the East Coast. Be sure to like them on facebook, as they do a fabulous job of dishing up style advice and sneak peeks of new introductions. I know you'll fall in love with Il Gufo just as I have done! Curious about the name Il Gufo? I was as well. It means "the owl" in Italian. Learn more about the brand and the origins of the name here. Loving these amazing playhouses from La Petite Maison. Each one is custom designed to feel like a small home, sized just right for children. There is great attention to detail, careful focus on construction and a range of styles suited to please the most discriminating parent (or child!). Can you imagine spending the afternoon in one of these curled up on a window seat or entertaining little friends? I certainly can, and my daughters could not get over the photos. What a magical gift to give to your children - a space all their own to dream. We think these are positively adorable. 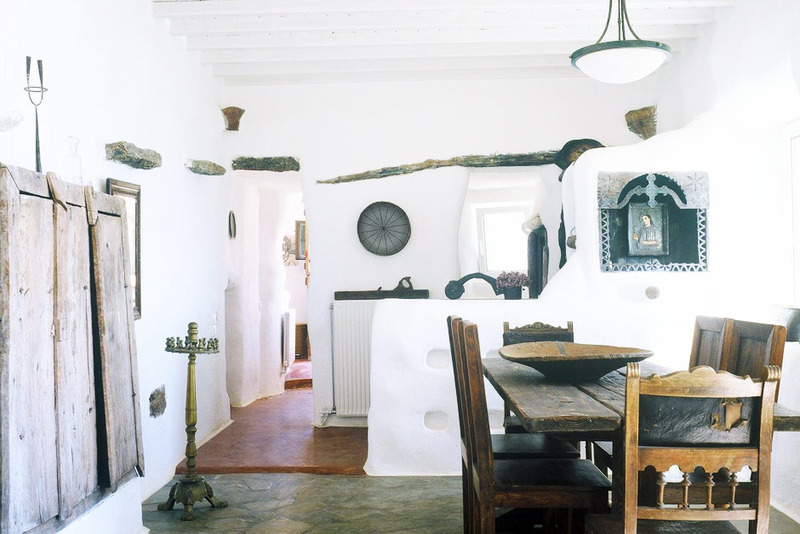 See the other designs at La Petite Maison. As much as I love fashion for moi, dressing my minis is somehow even more satisfying. Imbuing these little beauties with sartorial sensibilities from a young age is a gift I am happy to give them. What lesson do we need to learn during the summer? Modesty. Enter: Milly Minis. I'm not keen on bikinis for babies - and for my rapidly growing six year old keeping it fresh & preppy is the name of the game. No scandalous poolside attire necessary. Milly makes swimwear & coverups for toddlers & little girls that is every bit summer fun while still being beautifully age appropriate. 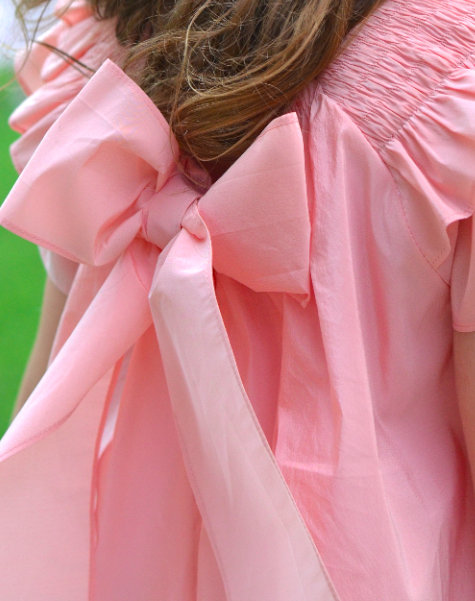 Ruffles keep it sweet and generous cuts prevent suits from being skimpy. It's fabulous swim & beachwear that's packed with style but every nit suited to fun-loving little girls. They even rock a one-shoulder leopard suit that somehow manages to be tame. Big fan of these pretty pieces. Here are a few of my favorites. All of these are on summer clearance at Saks happening now. Dressing the heirs to the Venti throne is always a pleasure. Especially since children's clothing has become progressively cooler and far more imaginative. As fashion designers have grown and matured, so too have their collections... extending into childrenswear and even pet accessories. And for this, I am eternally grateful. What a wonderful world we live in. 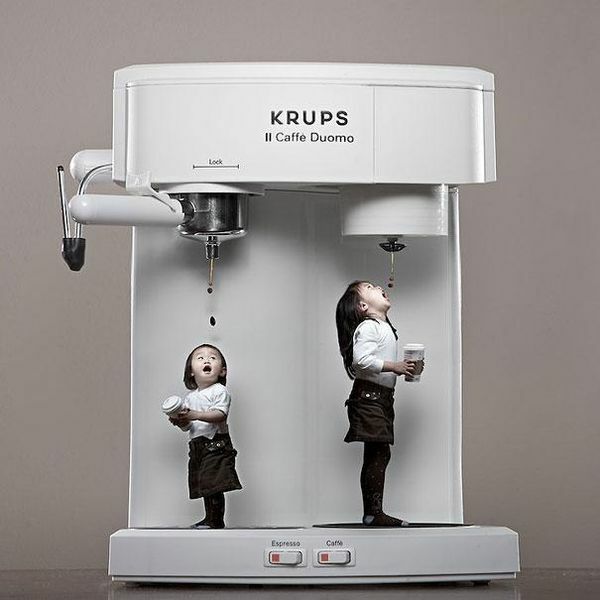 Creative minds use technology to carry out their visual fantasies. I have certainly found inspiration in the imaginative photography of Jason Lee. 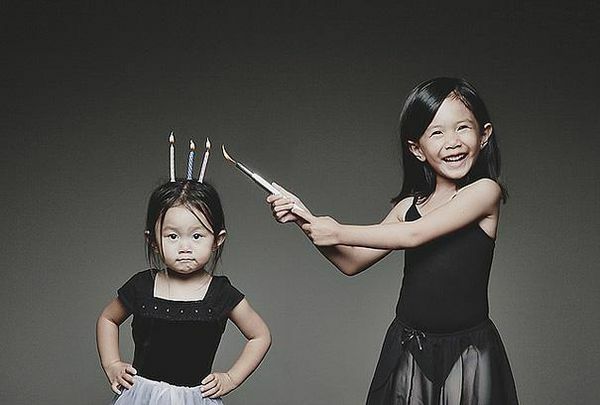 Not only is this an extraordinary series of photographs... it is also a terrific way to capture his daughters' personalities and stages of life. I find that all of us look more beautiful in candid photos. It only seems natural to capture that magic with a comical twist. Hamleys: A seven story wonderland located on London's Regents Street promises fun for the whole family. Plus... you're in London, baby! FAO Schwarz: The venerable New York outpost of this world famous toy shop was made famous by Tom Hanks in "Big"... and there's a reason the legacy remains true. Venti Girl reason to go: aside from the fab store itself, this locationis directly across from Bergdorf Goodman. Enough said. Barbie Store: This Buenos Aires store is SURE to be a hit with my daughter. And now that I'm expecting a second little princess this is a "must do" on our global travel itinerary. What to expect: Pink, pink and more pink with lots of satin, tulle and sequins. Kiddy Land: We have friends in Tokyo that we'd love to see. This Japanese chain has beenin the business of making dreams come true since 1946. Can't miss feature: the Hello Kitty "store within a store" inside this iconic toy shop. Another must for mini-me. Trust me I get it. Before you have a child, the idea of dressing them in a smaller version of your clothing seems silly or frivolous... or perhaps a bit narcissistic. Yet if you fast forward just a few short years into their lives you'll discover there's an abrupt drop-off point in the world of little girls' clothing. In the world of children's apparel, little girl's clothing goes from innocent layette to Miley Cyrus faster than you can blink. It's astonishing. So where do you go for clothing that's age appropriate, demure and stylish? Your brands. Milly, Lilly Pulitzer, J. Crew and a small handful of others are all helping us transition our very small girls into clothing that is classic and chic - while still offering little kid sensibilities. Am I naive enough to think that dressing your child as a prepster instead of a tart going to make a difference in their life choices as a teen and beyond? Obviously it's not as simple as that. But age-appropriate dressing is part of a larger "whole" of standards to be defined for young girls. Demure dressing may not be a solution, but it's a start. Those foundational standards begin at home when they are very small children. You lead by example (yes, you) and you demonstrate by way of solid example. Can they still shine bright like a diamond? You bet. Sequined sweaters & pretty little coats make a girl feel special. Quality pieces make a difference in the comfort and wear. It just "feels good" to wear well-made products. A preppy sweater might not prevent her from a stint at teen rebellion years from now, but it will certainly be one brick in the foundation towards building her high self-esteem. And that has value anyone at any age can appreciate. Miami's most desirable kid-friendly beachfront option? Quite possibly. This opulent Florida boutique hotel doles out indulgent experiences and family-friendly activities like a boss. Decadent spa for moi and marine-biology-based fun for my mini-me's. Hello, Acqualina!